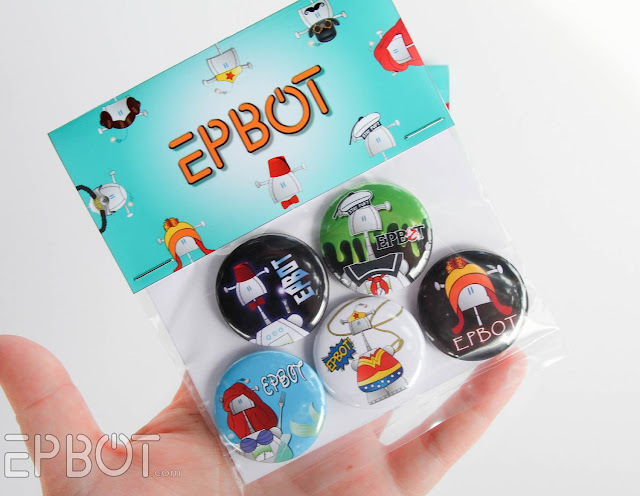 EPBOT: New Epbot Pin Packs, Now Up On Etsy! UPDATE: Sold out! And in only 2 hours! WOWIE ZOWIE. 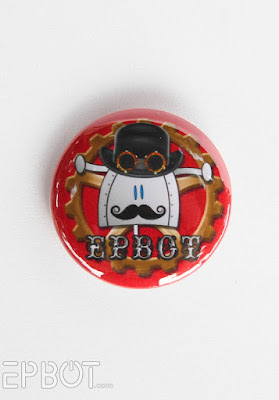 Don't worry if you didn't snag one; we'll be re-ordering supplies and should have more up on Etsy in a few weeks. 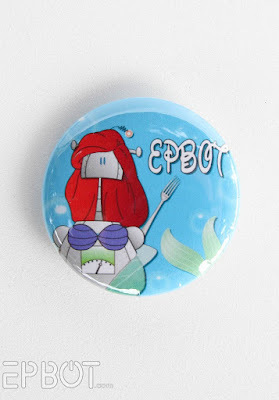 Be sure to "favorite" the listing on Etsy so you don't miss it. Thanks, guys! 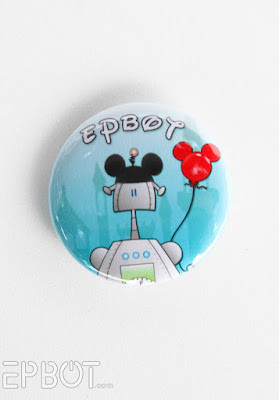 By VERY popular demand, Epbot pin packs are now for sale on Etsy! John and I have spent a lot of time on these since Dragon Con, from finding the best printing paper, to designing the packaging, to figuring out how to keep shipping costs as low as possible. 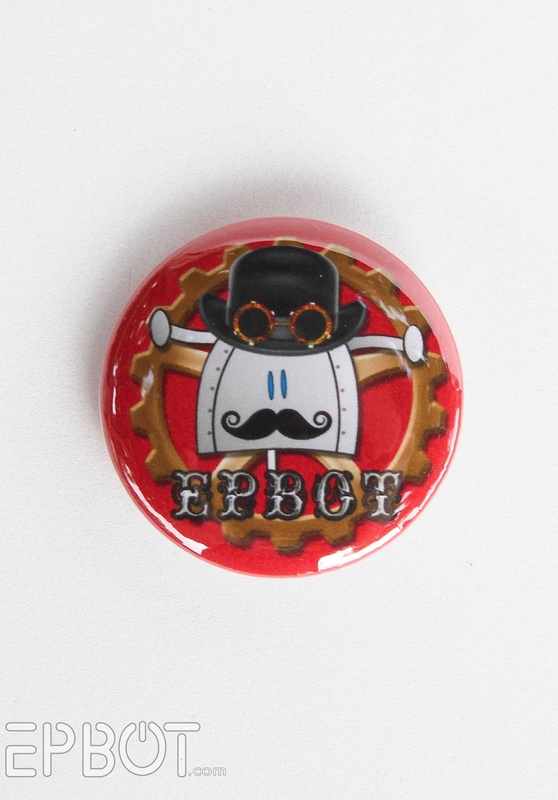 We also re-designed the steampunk one to make it a little cuter. Better? 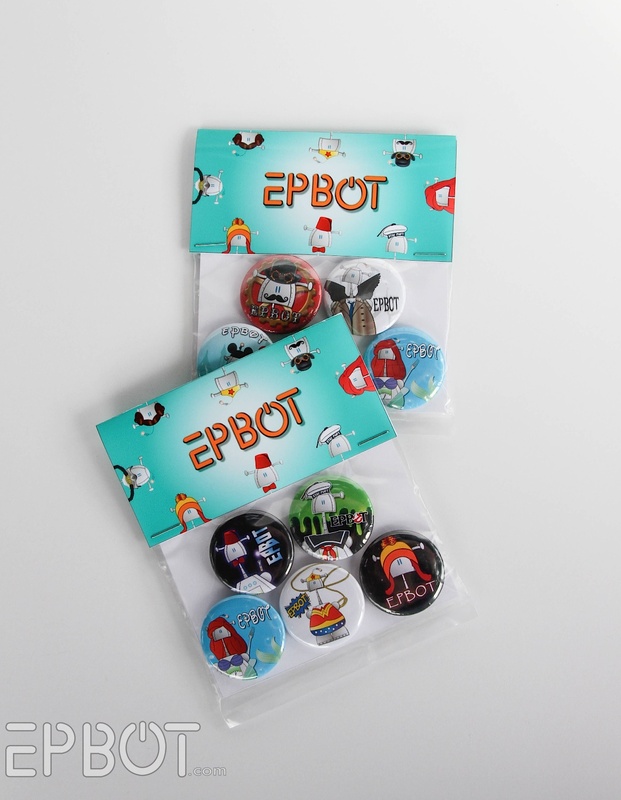 Every pin and package is handmade by John and yours truly, so we're only doing a limited run of 95 packs (of 5 pins each). If by some crazy random happenstance those sell out quickly, then we'll consider making more, but no guarantees. Which is all to say, if you want 'em, grab 'em now. Oh, and check out the envelopes! 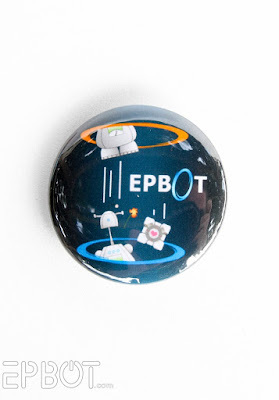 Each pack of 5 pins is $10, and shipping and handling is another $2. And good news for international readers: shipping for you is only $3, since we kept the packaging so small and slim! The less-than-good news is that we cannot combine shipping, since we can only fit one pack per envelope. So no matter how many packs you buy, they'll still have to be shipped separately. Sorry about that! You seriously think you're NOT going to sell out? Immediately? You're so cute. Yeah, you're totally going to sell out quickly... Ordered mine already! Ack, sorry for the double post! I feel so special that I got one at Dragoncon! (the Wonder Woman one). The designs are all incredibly adorable. Ordered mine! 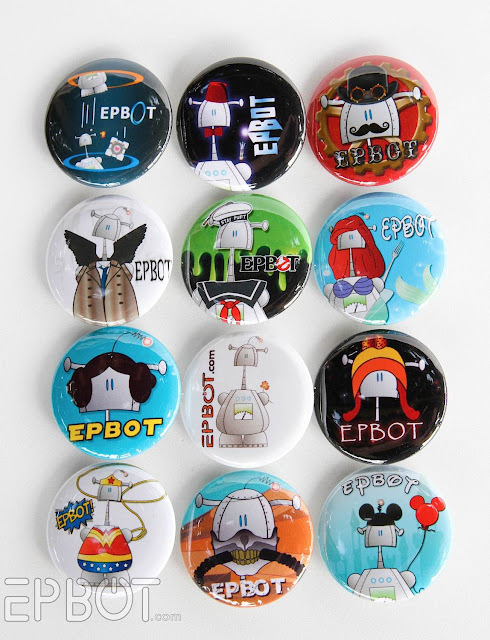 Very much want to get them all. You are most certainly going to sell out. Got em'! I'll be curious to hear what the most popular designs are. Already sold out, dang it! Darn! It said there were 22 left so I put it in my cart right away then glanced at a couple other stores. 2 minutes later I went to click Check Out, but it had already sold out. :'( I hope we can talk you into making more! Sold out! Argh. Charge double and make it worth your effort! Oh, and I like the Firefly, Ariel, Disney, Leia, and Oriianl Epbot. I think I got my pack in the nick of time then, woo! I love the new Portal design! 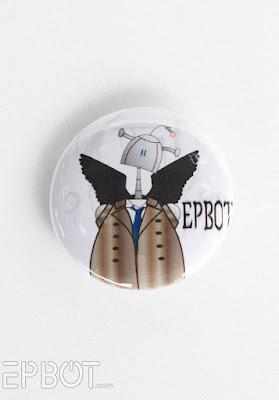 Anyway, you should make it possible for people to choose to pay more for the pins if they want to, for those of your fans who have been pestering you for ways to support their favorite blog without drowning in books. I'm not sure how etsy works, but maybe create the same product five times over but with prices ranging from $10 to $50? My favorite webcomic xkcd has the same setup except with signed prints of the comic. You deserve the extra income and it would give you some extra incentive to create more little circles of awesomeness for all the fans (including me) who weren't fast enough to get some the first time. Please let us know when you have the next batch ready (no pressure). I want one of each of the designs, can't decide on just a few. I agree that you could easily charge double for the pins. All of the designs are amazing! Have you thought about stickers, which may possibly be not as labor intensive? We love you and want you to take our money! Stickers are a good idea. You could do them through Redbubble, which would be minimal work for you! 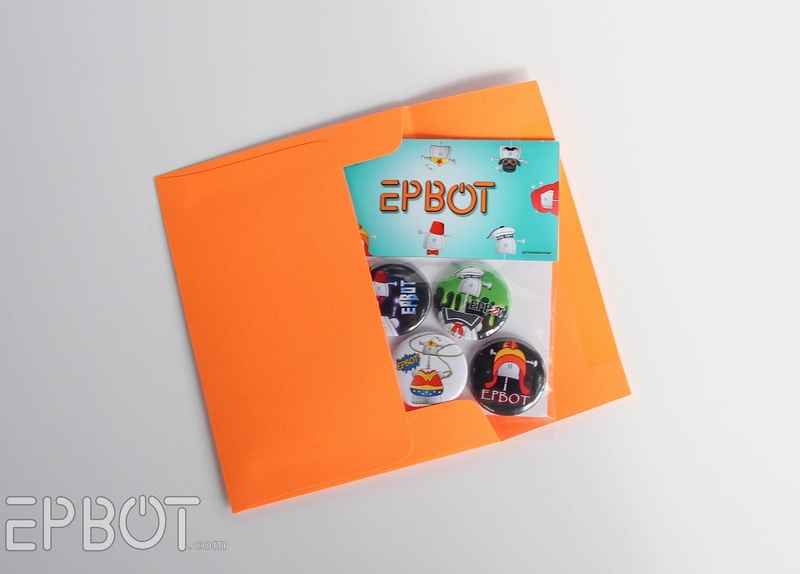 I would totally use Epbot stickers as part of geeky gift wrapping, for instance. I wanted to order pins too but they were gone in a flash! Woah woah woah! THIS is why the Internet exists! To give me ideas I'd never think of but instantly love, like stickers from my favorite blogger (and favorite friend-I've-never-met)! I'd buy packs of these! 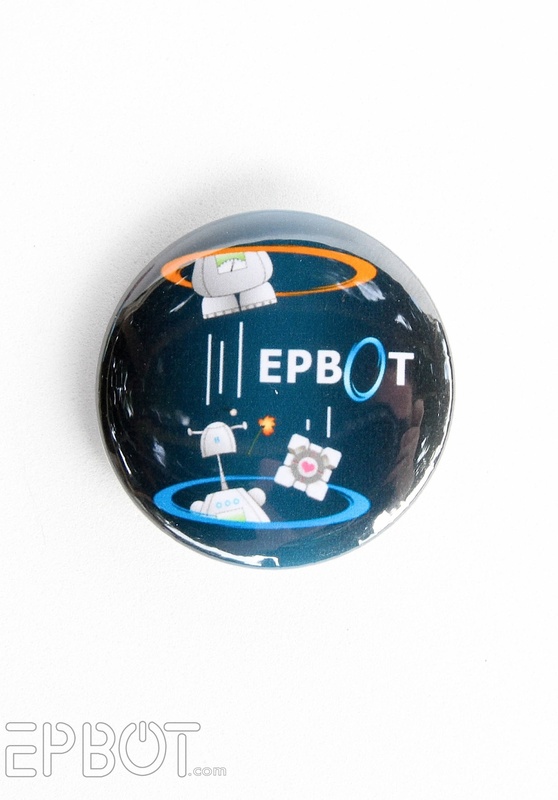 Jen, John, sweeties....you're going to have to make another three pins so I can order them all and not have doubles!!!!! And, bigger run I think....*grin* Can't wait for the next round of pins!!! Love the Portal and Castiel bots! Unfortunately, I saw this right after they all sold out. Hope I can catch the next ones before they sell out. *Groan.. :( I'm always too late for the good stuff. Damn it, I get crazy busy for 2 days and I missed this! I really, really hope you make more!